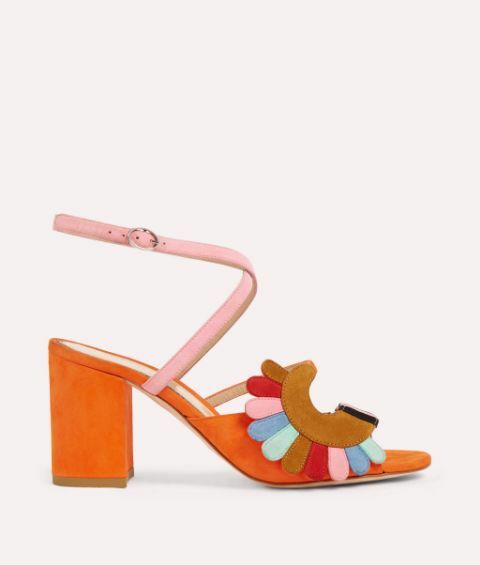 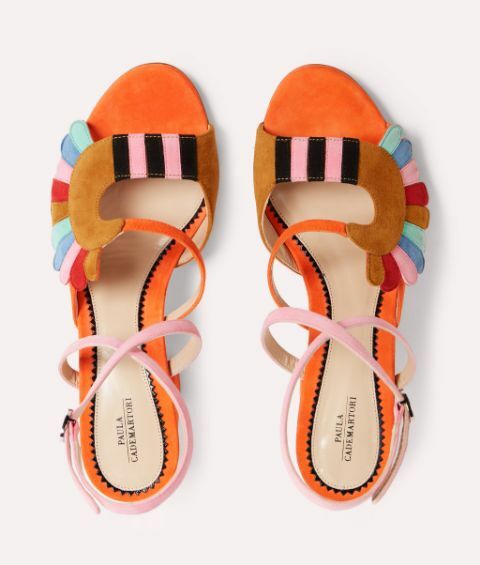 If happiness were a shoe, it would be the exuberant Lexie in popping orange inspired by the Memphis art movement. 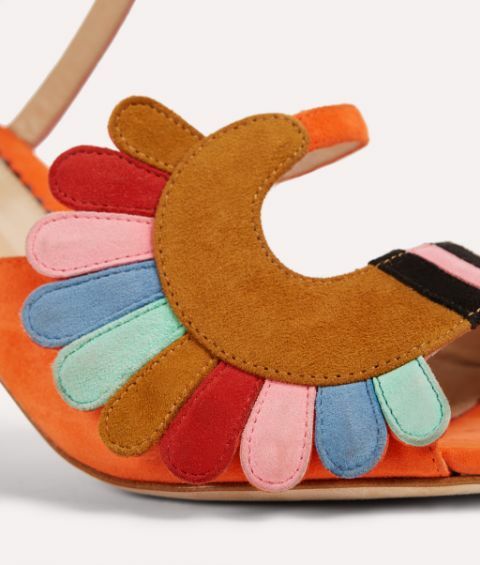 When you want to add vibrant character to any look, this contemporary sandal is perfection. 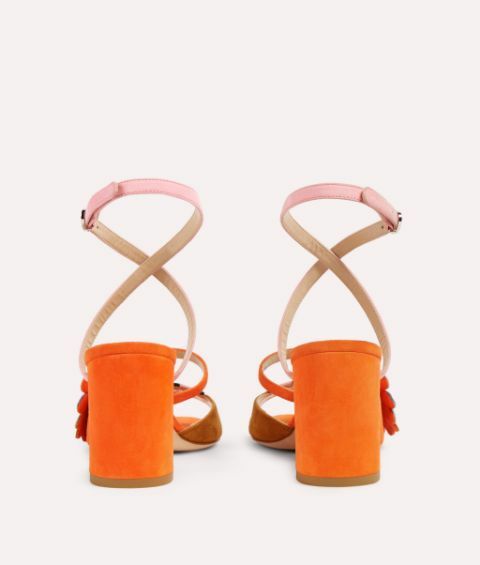 It's crafted in Italy with delicate cross-over straps that balance the block heel.